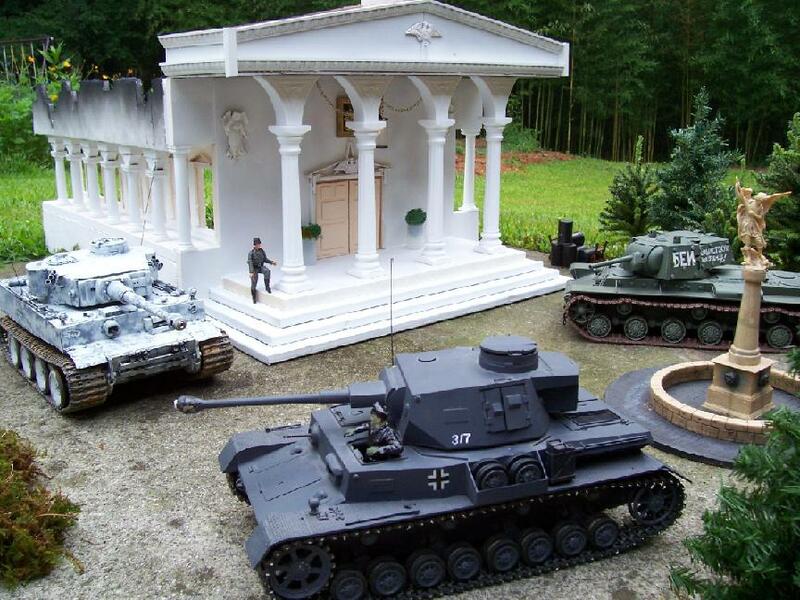 Activity: Participate in scale RC (Radio Control) tank runs and contest battle scenarios with dioramas indoors and outdoors over rough terrain. Exchange ideas on construction techniques and modeling. All radio controlled AFV (Armored Fighting Vehicle) scales from 1/25 to 1/6 are included and 1/15 - 1/16 scale RC AFVs with infrared battle systems. Readily available manufactured RC Armor kits are used as well as kit conversions or scratch building. Purpose: Promote the AFV hobby with RC capable models with a keen interest in the vehicle's history, modeling technique, mechanical construction and operation. All eras of AFV are included, pre-war, WWII and modern with a concentration in WWII period tanks. We have great satisfaction in constructing a realistic AFV that will maneuver and function like its full-scale parent is the motivation for the hobby. Discussion and exchange of ideas with other modelers improves skill and creates camaraderie in the hobby. How you can participate: Everyone is welcome to participate or join the club. Whether an avid AFV modeler or run RC vehicles for fun, this is an opportunity to connect with fellow RC modelers learning building technique, historical significance and watching your creations run under your control over obstacles or in battle. We are always looking for enthusiastic organisers for events! Video links posted on most recent Battleday Report!